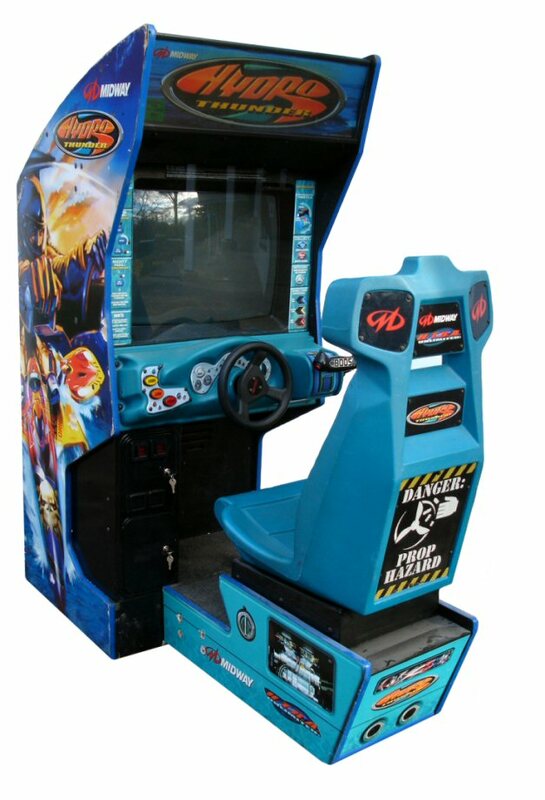 Ever play a little game called Hydro Thunder? Maybe on your N64 or PlayStation, or dare I say your Dreamcast? No?! What about the arcade version? Well, grab your wetsuits because Vector Unit is making a new Riptide game called Riptide GP®: Renegade, the next game in the Riptide series. Vector Unit also made Hydro Thunder Hurricane, an Xbox 360 Arcade game, which was the sequel to Hydro Thunder, originally on PS1/N64. Think futuristic hydro jet racers, stunt jumps, high-speed maneuvers, and jet boosters for even more speed. Take your jet racer across a variety of awesome maps and do your best to stay on and be the fastest racer out there. Riptide GP: Renegade is the first in the Riptide series to be made specifically for next-gen consoles, as it will be available on both PS4, Xbox One, and Windows 10 as well. The game is tons of fun, and brings back memories of the original Hydro Thunder. It’s fast, it’s tough, and it looks amazing. The frame-rate on the demo at Pax was super stable and even with a lot going on in the game. Water physics look great and though I managed to wreck nearly every time I tried a stunt to get extra boost, the stunt animations are pretty sweet. Each stunt you do adds to your boost meter, which in turn alters the design of your racer. Essentially the hydro jet is prepping for light speed, and they end up looking awesome when you boost past all the other players in game. Speaking of other players, the game will feature SIX PLAYER split-screen on Xbox One. I know what you’re thinking “six players on one screen?” Trust me, it’s going to be a lot of fun at parties, just like Hyrdo Thunder was with your pals all cramped up to the CRT tv in the house. PlayStation 4 will only see a four player split-screen mode, but there is also online-play as well. Aside from the online races, there is a circuit/single player mode to race against AI with multiple difficulty levels, so there is no shortage of content for you to enjoy. I had a ton of fun playing this at Pax Prime and I’m looking forward to the game’s release in 2016. 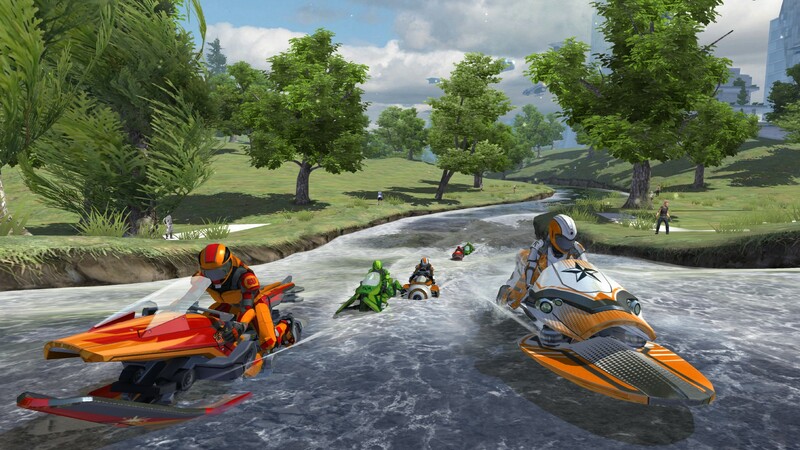 Riptide GP:Renegade has a release date of Spring 2016, aka not soon enough for fans of the series. For more information on Riptide GP:Renegade, check out Vector Unit’s website! Or Follow Vector Unit on twitter!